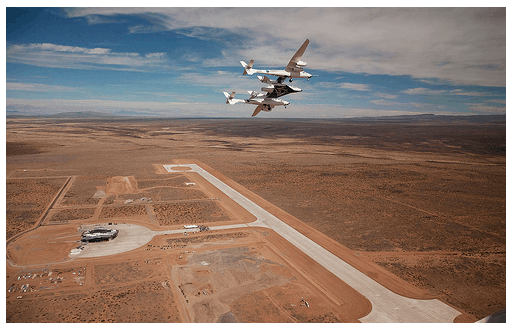 Spaceport America's Runway - Now 12000 Feet! Spaceport America Runway Extension Complete! We hunted for a photo of the longer runway on the Spaceport’s website…nothing there yet. So – see this runway here? Well it’s longer than that now. We’d noticed a LOT of trucks loaded with asphalt and such rolling through downtown T or C, headed east, and pondered all the possibilities. Seemed likely the materials were being used to build the road south. But along with this runway news came reports that the road to Engle is newly repaved (from the turn off to the Dam Site all the way to Engle). Onward and upward, Spaceport America! Little unsubstantiated tip – if you want to see this runway close-up, we’ve been led to believe that chances are better on the Pre-Tours (running now!) than they will be when the Spaceport officially opens to visitors.